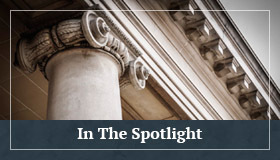 The New Jersey Supreme Court to Decide Whether Consequential Damage Stemming from Faulty Work Constitutes an “Occurrence” | Golden Rothschild Spagnola Lundell Boylan Garubo & Bell P.C. By: Audrey L. Shields, Esq. and Francesca E. Cheli, Esq. In a much anticipated move, the New Jersey Supreme Court has granted certification to hear the matter of Cypress Point Condominium Association, Inc. v. Adria Towers, Inc., 2015 WL 4111890 (N.J. App. Div.) where the Appellate Division held that unintended and unexpected consequential damages caused by the subcontractors’ defective work constituted “property damage” and an “occurrence,” as defined in the polices. By granting certification, the Supreme Court will take on the task of determining whether consequential damages to common areas and unit owners’ property arising from subcontractors’ faulty work on a condominium complex constitute an “occurrence” under a general contractor’s Commercial General Liability (CGL) insurance policy. The Supreme Court’s decision on this issue will serve to clarify scope of insurance coverage for liability of faulty work claims against general contractors and subcontractors in the condominium development setting. The underlying construction defect matter was initially filed at the Trial level, wherein Plaintiff, a condominium association, asserted claims against the Association’s developer, the developer’s insurers, and various subcontractors. The developer had served as the general contractor on the condominium project, and hired subcontractors to perform all construction work on the project. Plaintiff sought coverage from the insurers under the developer’s CGL insurance policies for consequential damages arising from water infiltration due to the subcontractors’ allegedly defective work. The Superior Court Judge determined that there was no “property damage” or “occurrence” as required by the policy to trigger coverage. It granted summary judgement to one of the developer’s insurers and dismissed the complaint as to another of the developer’s insurers. Plaintiff Appealed the Trial Court’s decision. The Appellate Division based its decision in part on the developer’s reasonable expectation that, for insurance risk purposes, the subcontractors’ faulty workmanship is to be treated differently than the work of a general contractor. It further noted that the 1986 ISO form’s “addition of the subcontractor’s exception is of critical importance when determining whether the subcontractors’ faulty workmanship causing consequential damages amounts to ‘property damage’ and an ‘occurrence.’” Finally, the Appellate Division recognized that its holding followed the interpretation of the 1986 ISO form adopted by the majority of courts nationwide. With a definitive ruling by the Supreme Court in the Cypress Point Condominium Association, Inc. v. Adria Towers, Inc., there will be some clarification and finality on this significant insurance coverage issue. 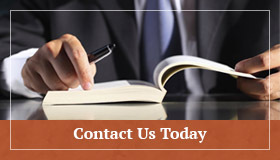 Clearly, should the Court elect to affirm the Appellate Division’s earlier ruling, insurers in New Jersey will be faced with a broader range of exposure arising from the work performed by their insureds, and may alter the manner in which policies in New Jersey are written moving forward. GRSLB&G will continue to monitor this critical case as we await a decision from the New Jersey Supreme Court.